The Munn Tract was generously donated in November 2011 by the late Cora Munn and family. It was Cora’s vision that this 76 acre property be maintained as a wildlife reserve in perpetuity. 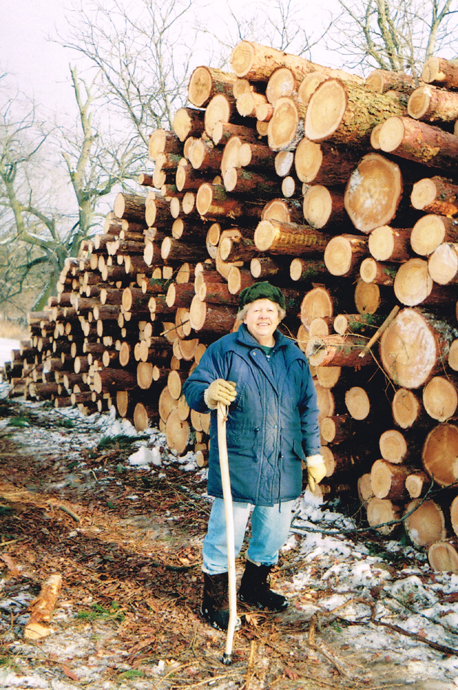 Cora Munn in 2005 with logs from Munn Tract. The property is located along the north/south ridge about 1 kilometre west of Codrington on County Road 27. It is part of the Cramahe Hill Complex earth science region (ANSI 1991) and contains beach sections of pre-historic Lake Iroquois. 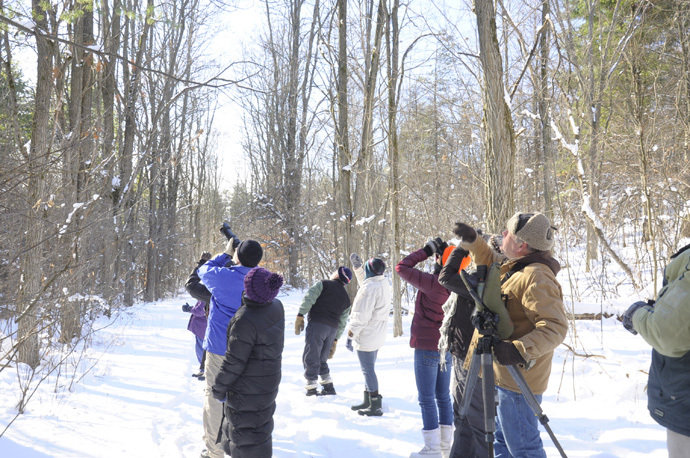 In 2011 it was classified as an area of Ecological Sensitivity under the provincial Ecological Gifts Program and is registered under Ontario Heritage Trust. When the 76 acre land parcel was purchased by the Munns in 1972 much of the property was unforested and damaged by livestock grazing. During the next thirty years the Munn family planted nearly 100,000 trees. Cora was careful to match the new plantings with the specific soil quality of each planting site. As a result, the property contains a variety of forest habitats including plantations of red oak, red pine, white pine and spruce. All plantations are being selectively thinned to encourage a progression to mixed forest. Approximately one quarter of the property presently consists of climax hardwood forest. The lower regions of the ridge property are forested by large cedars and contain springs which form the headwaters of Marsh and Salt Creeks. A meadow area near the property entrance is maintained as habitat for grassland birds and mammals. The upper slopes of the property are easily accessed by approximately four kilometres of logging trails. Visitors are requested to refrain from disturbing the ecologically sensitive wetland regions at the base of the ridge. 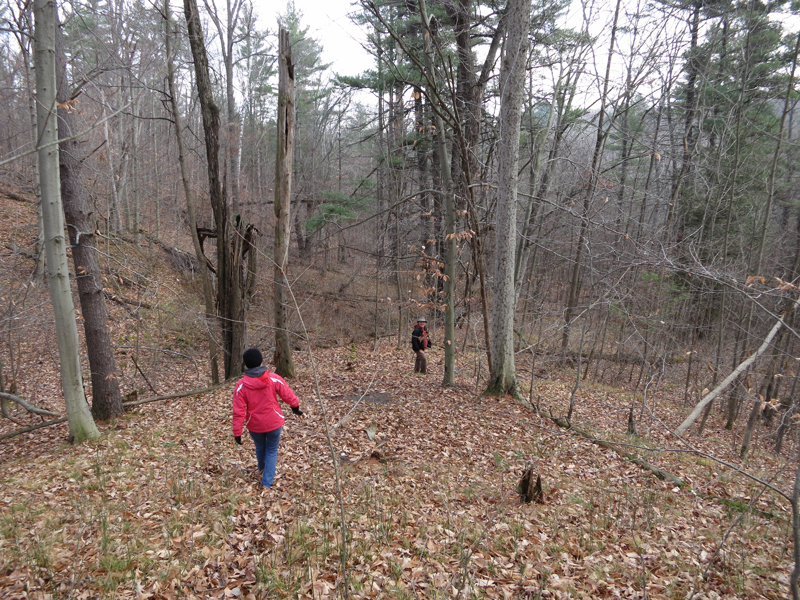 Board members hike the Munn tract hills (Mar 2013). 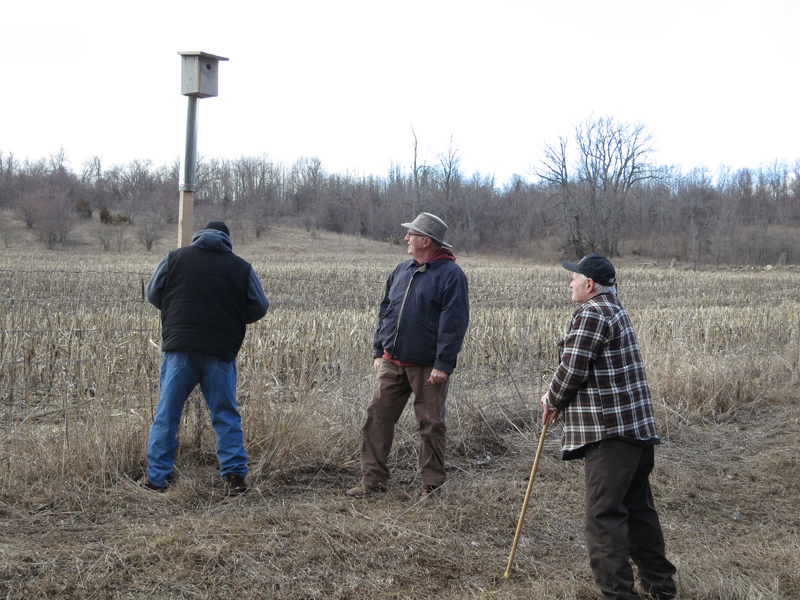 Setting up tree swallow boxes (Apr 2013). 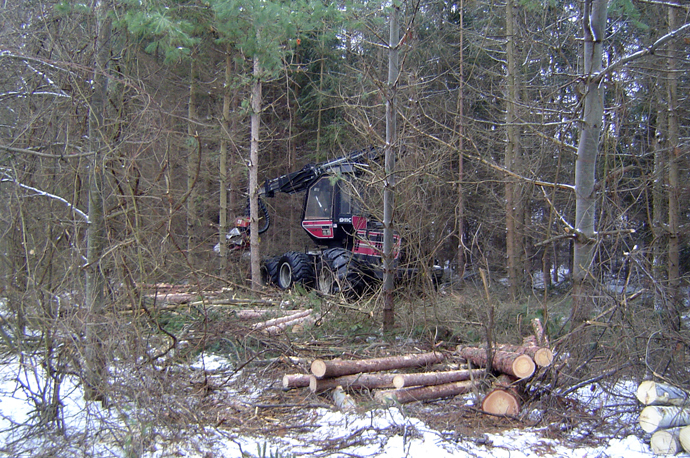 Logging at the Munn Tract in 2005.